Dr. Patricia Mills is a clinician-researcher with a focus on the understanding and management of spasticity, a motor disorder that can occur in individuals with spinal cord injuries (SCI) and other conditions affecting the central nervous system (e.g., multiple sclerosis, stroke, brain injury, cerebral palsy). Dr. Mills is a Clinical Associate Professor in the Department of Medicine at the University of British Columbia and a Principal Investigator at ICORD and the VCHRI Rehabilitation Research Program. 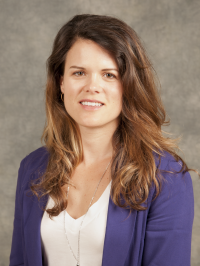 She is also a Physical Medicine and Rehabilitation Physician Consultant at GF Strong Centre, Vancouver General Hospital, and University of British Columbia Hospital. She obtained her M.H.Sc in Health Care and Epidemiology from the University of British Columbia, her M.D. from the University of Toronto, and her medical specialty training at the University of British Columbia. Learn more about Dr. Mills.